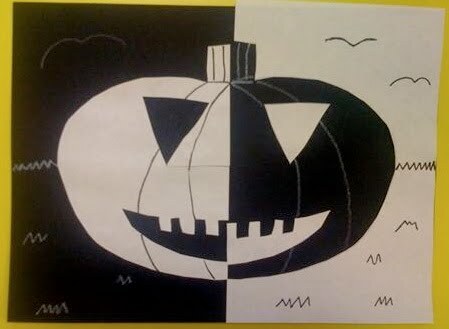 Gotta love Art Projects for Kids, to whom I credit this awesome idea. It was a great one-day take home project for Halloween and if we did it really slow, and together...they kids did a really great job with it. They did a great job with it. It looks pretty nice and it can be great logo.